She enters a room quietly, gently, feeling no need to announce her presence. While she takes her new job very seriously, she seems happily unaware of the level of comfort and encouragement she brings just by being there. Her name is Bindi and she’s a new pet therapy dog for Hospice of Dayton. A mix of Black Lab and Border Collie, Bindi’s journey to this new calling is one that she shares with her owner, Lori Sturgill. Last November, Sturgill’s mother, Jean Shock, was admitted to Hospice of Dayton after a lengthy illness. For the next week and a half, Sturgill stayed at Hospice of Dayton and rarely left her mother’s side. Neither did Bindi. Through those difficult days, Bindi’s steadfast presence bolstered Sturgill’s sprits and helped her cope. Bindi became a friendly fixture at Hospice of Dayton, enjoying perks such as free cafeteria food and plenty of attention. It wasn’t long before nurses asked if Bindi could visit other patients. One gentleman in particular stood out for Sturgill. “He would say-oh I just miss my pets so much. I guess maybe it made him feel like he had a piece of home-to have an animal come and just sit with him. It’s just amazing,” said Sturgill. About four days into their stay, Sturgill’s husband offered to take Bindi home for a break. When Lee Sturgill put on his coat to leave, Bindi, who had been lying calmly in the corner, would have none of it. A second attempt to take Bindi home the next day produced similar results. “This time, instead of putting her feet on the bed, she jumped all the way in the bed and wouldn’t leave…it’s like she knew she had to be there,” Sturgill remembered. 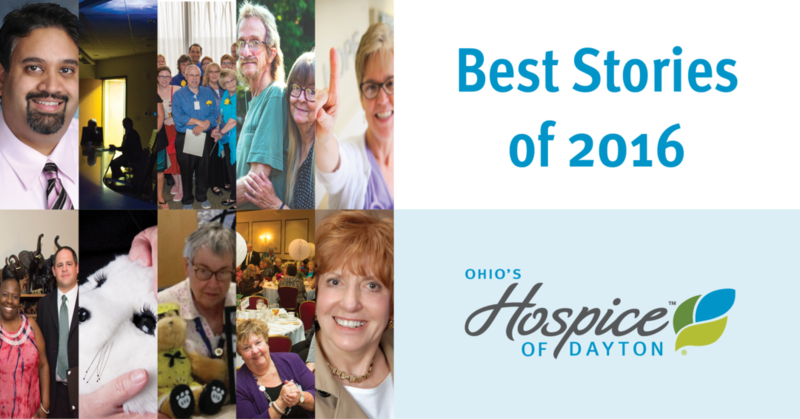 Though it was a difficult time, Sturgill is very grateful for the comfort and support that Hospice of Dayton provided to her mother, to Sturgill’s father, Richard Shock, and to the entire family. 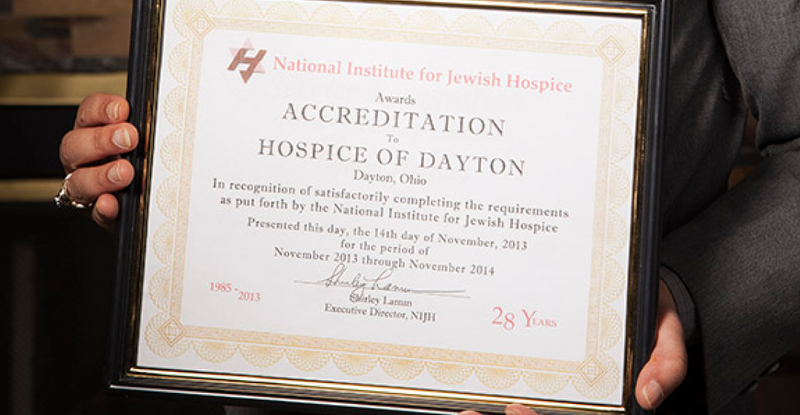 Sturgill and Bindi remained at Hospice of Dayton until Jean Shock passed away on November 22, 2013. According to Sturgill, Bindi instinctively understood what had happened. Sturgill completed the Hospice of Dayton volunteer orientation and enrolled Bindi in training classes to become a therapy dog. Training involved taking Bindi to public places and observing how the dog reacted to distractions and to new people. The combination of Bindi’s gentle nature and Sturgill’s compassion for patients and families has proven to be a successful one. 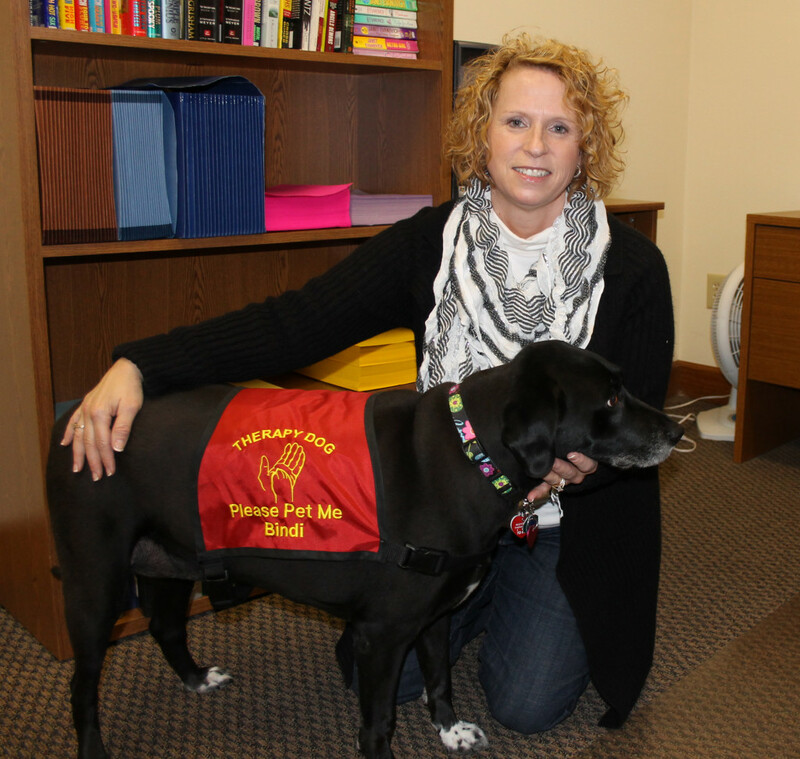 The pair began work as a Hospice of Dayton pet therapy team on Feb. 3. In addition to Hospice of Dayton, Sturgill and Bindi also volunteer at Good Samaritan Hospital. According to Sturgill, Bindi’s a natural. Bindi seems to understand intuitively how to negotiate each unique situation as she draws close to patients and provides comfort. Sturgill is especially passionate about the benefits of pet therapy. “The nurses tell me that the patient’s blood pressure goes down and it calms them,” Sturgill explained. Nurses also told Sturgill about a patient who benefitted greatly from pet therapy during his last days. The man had not communicated at all during his Hospice of Dayton stay. That changed when a therapy dog came into the room. While Sturgill still grieves, she knows that she is making steady progress. 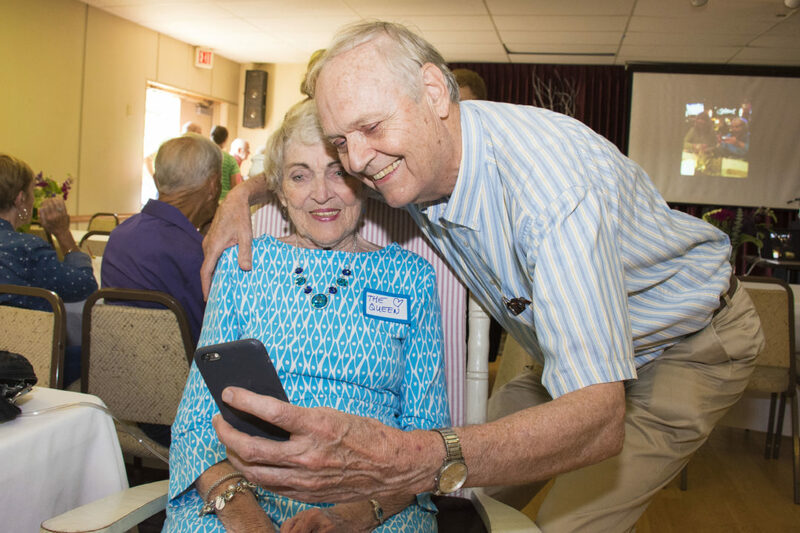 Sturgill was particularly touched by a letter that Jean Shock left behind for her children that read in part: Kids, I don’t want you to feel bad when I’m gone. Be happy for me…Celebrate with me…enjoy your life and remember I’m at peace now. It’s okay to think about me once in a while, but don’t grieve. I’ll see you again in the future. 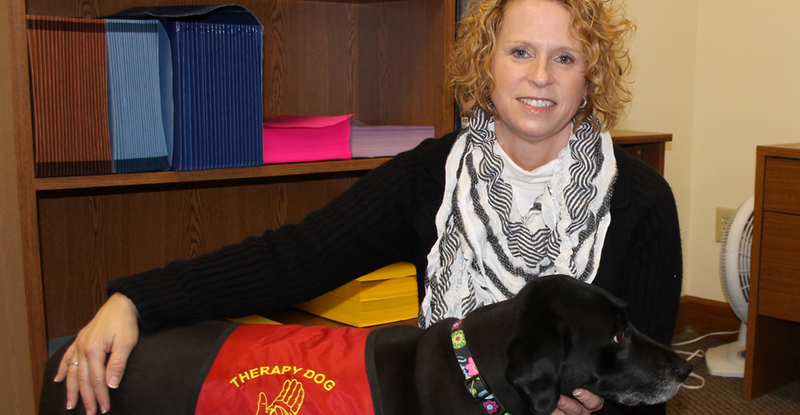 Working with Bindi as a pet therapy team has also helped with the healing process. Sturgill acquaints the experience to how she imagines an organ donor might feel.